The Palacio de los Deportes of San Pedro de Alcántara will witness the first battle of the year between the new pairs formed in 2019 and the couples who maintain their project. A battle that can be enjoyed twice over thanks to the two courts installed at the epicenter of the competition that will host more than 3,500 spectators. 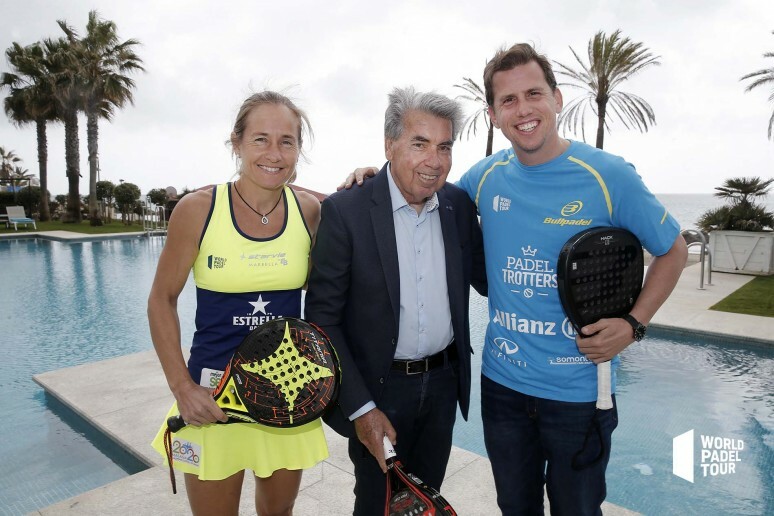 An emblem of Spanish sport as Manolo Santana has accompanied two of the great exponents of the professional circuit, Carolina Navarro (representing the women's circuit) and Paquito Navarro (in representation of the men's draw), in the launch of a more than exciting season. The three times champion of Roland Garros, US Open and Wimbledon, has confessed being aun unconditional fan of World Padel Tour. Everything is ready to start the first Master of the campaign and its protagonists wanting to start the competition.